A blast of youkai energy had me screeching to a halt and ducking behind a tree. The roiling heat of it was thicker than tar, as tough as any shield. The Parade came soundlessly, but their presence resonated heavily through the air. My lips were dried and when I bit my bottom lip, I could feel pieces of dried skin peeling from them. The rusty old pipe outside my bedroom window creaked dangerously as I inched my way down. Grandfather’s words were still ringing in my ears. I was born the Kanda Onmyouji, and I would die as one. My fate was sealed hours after my birth when my hair turned the red of blood from thousands of monsters, slain by my ancestors, the curse they put on the one who inherited the full scope of the Kanda powers. Back to my original piece of work. This is my first attempt at writing a short story, and confirmed my suspicions that I’m too long-winded to carry out short stories. It was meant to be a prequel to the Onmyouji Chronicles that I’ve tentatively named the Night Parade. 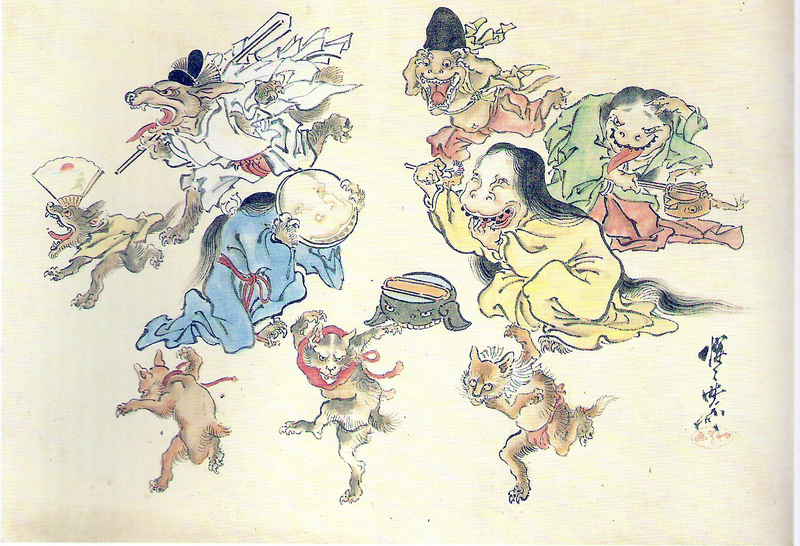 Those who wonder what that refers to should check out my post on the Hyakki Yako.